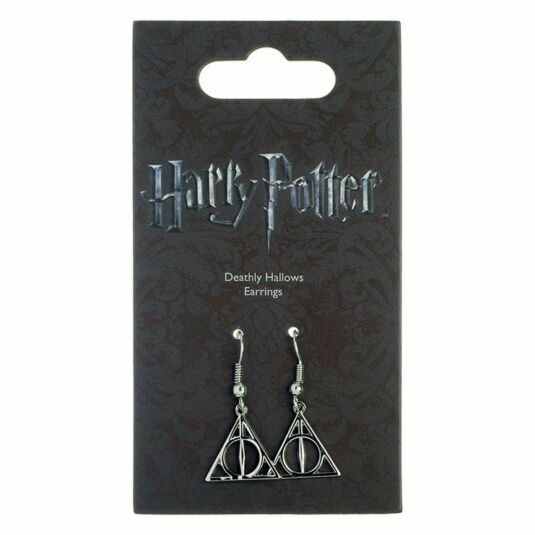 The Deathly Hallows were ultimately such a vital part of the Harry Potter world, so celebrate their legacy with these elegant earrings. 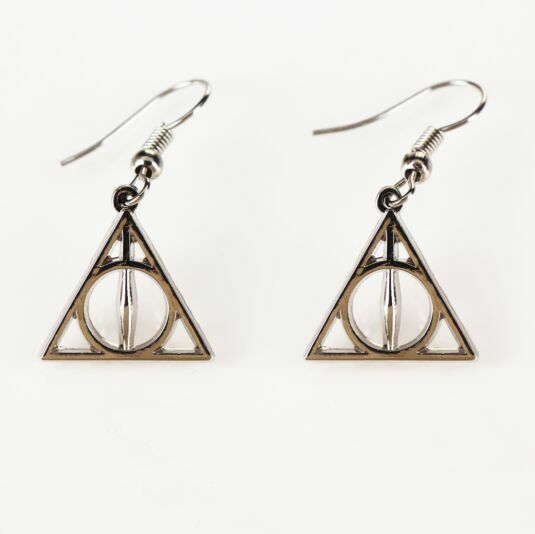 Harry would have never defeated Voldemort without the Deathly Hallows, and these earrings make the perfect give for anyone who is a huge fan of the series, be that friends, family, or you! The centrepieces of the earrings are a couple of beautiful silver plated charms. 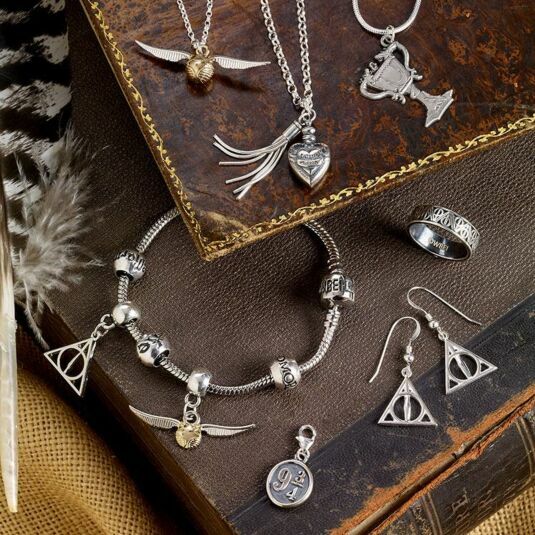 The charms depict the iconic logo of the Deathly Hallows, with the circle, triangle, and line representing the 3 legendary items from the Harry Potter franchise. The charms are attached to elegant and silver plated French hooks, and they also have a bullet clasp to ensure they are attached comfortably and securely. The magic of the Harry Potter world will not be forgotten, and you can celebrate its legacy with these beautiful earrings. This item comes with official Harry Potter branded packaging.